The topic of Witches and witchcraft is not one that is discussed openly, either in church or public spheres. Stories about witches and witchcraft appear in newspapers or electronic media as news items especially when witches have been attacked. In church services, witchcraft is mentioned largely in sermon illustrations or in services of deliverance. In some communities, it is at funerals that there is space where one gets to hear about witches and witchcraft through speeches, songs, and sermons. It is this context upon which my write-up focuses. Attending a funeral a month ago in my home village, the same village as Mr. Tinga, I heard much about witches and witchcraft through songs, sermons and speeches. Mr. Tinga is a middle-aged man who has been ailing for a while. He left behind two wives with school-aged children. The funeral was attended by people from all walks of life including relatives, politicians, pastors from different denominations in the village, teachers and students from the surrounding schools where his children were studying. Christians attended from the denominations of the churches that his wives attended. The committee that organized his funeral was composed of family, and of Christians from one of the denominations where his wifeThe topic of Witches and witchcraft is not one that is discussed openly, either in church or public spheres. attended and where Mr. Tinga was a member before he married his second wife and stopped attending church. The program for the funeral was extensive, giving room to people to mourn Mr. Tinga. Each person who eulogized him made an appeal to the mourners to support the two widows and to help his children to continue with their schooling as this was one way to help them fend for themselves. What struck me in this funeral was the openness with which witchcraft was discussed and how people responded in affirmation to the warnings given to the witches. It was observed that witches bewitched young people who then dropped out of school, and some became zombies in the community. In most of the speeches one case was being pointed out, and I chose to follow it up. I learned about the story of a young man from the village named Fuko, who was preparing for his final primary school examinations. One evening after having supper in his mother’s house he was walking back to his hut to read and then sleep. On his way he met with a group of witches who took him hostage and moved with him to different places practicing witchcraft in the night. Before the morning they brought him back to his hut and left him sitting on the chair. The next morning, his mother waited for him to come and eat his breakfast before school, but he did not come at the usual time. When she realized that time was moving fast and Fuko was going to be late for school, she decided to go and check on him. When she arrived at the hut she found her son seated on a chair and quiet. When she tried to have a conversation with him, he said very little and tried to use signs that she could not interpret. She immediately called family and some neighbors to come and help her interpret what was wrong with her son Fuko. Since he had difficulty expressing himself, they gave him a piece of paper to write, but what he wrote was also unclear. He did not look like someone with any physical pain. They gave him tea and he drank, but he still could not express himself. They checked his room and discovered he had not slept in his bed, as it was as if no one had used it that night. It became clear to them that he had not spent the night in the hut. They suspected he had met with witches on his way from his mother’s house; there had been a similar case in the community a while back. The mother of Fuko told the neighbors that her son had complained about hearing voices of people outside his hut. In one incident he heard someone calling his name; in another incident he had soil thrown into the house. The mother had warned Fuko not to open the door or to respond to anyone calling, even if they were calling him by name. The neighbors asked the mother of Fuko to seek the help of a medicine man for treatment, and not to go to a public hospital. The medicine man was brought in and he began to treat Fuko. After a few days, Fuko began gaining back his speech and returned to school to continue preparing for his exams. He took his exams. But when the results came they were not as good as was expected, since he was a good student. The incident with the witches had traumatized and confused him. He was expected to continue with his schooling with hopes that he will recover fully since he was being monitored by the medicine man. 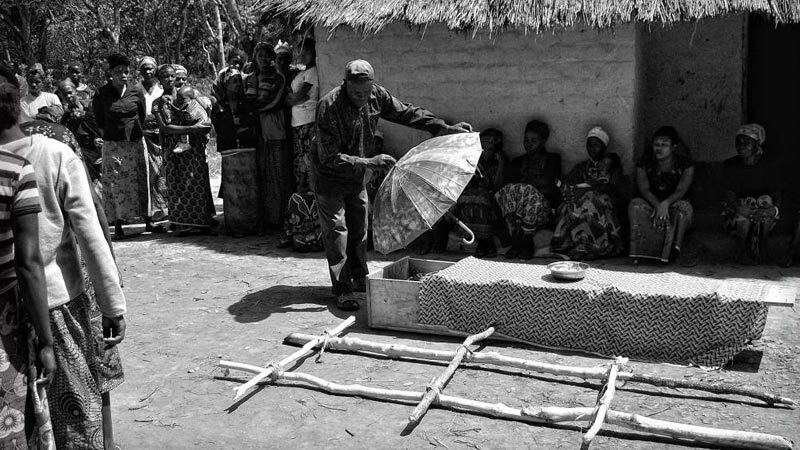 The funeral of Mr. Tinga created space for a contextual issue of witchcraft to be raised and discussed in a public forum with a captive audience, directly or indirectly affected by it. The issues that surround witches and witchcraft are many, they bring to the public space both cultural, pastoral, and missiological questions for the church. As well as questions for the church, there are also social, economic and Witches and witchcraft is a societal issue that needs to be discussed in the public sphere, but approached from all spheres of life as it affects and impacts people in both the spiritual, physical, economic realms.educational questions raised. Witchcraft is viewed as a ploy of those who are anti-development of others in the community. Targeting young people is doing away with the growth of the future generation. The issue here is how does one get to know the witches or how do you single them out? Knowledge of witches is shrouded with myths and secrecy; such that age, gender, class have often been used to determine who is a witch. In terms of age, older people are accused more than young people. In terms of gender women are accused of being witches more than men. It terms of class, both rich and poor may be accused of being witches. The image of witches is that of human beings turned upside down, for instance witches are accused of acting in the night not in daylight. Since they walk in the night, they do not dress up but walk naked, when they come to someone’s door they knock using their back and not their hands. Their paraphernalia include the power of their speech, if they call one and he or she responds they lose their speech. If they throw soil at you in the night it is bound to cause harm. If one comes into contact with witches in the night, they are bound to harm them or the witches have power to reduce one’s power of speech or physical strength. Witches and witchcraft is a societal issue that needs to be discussed in the public sphere, but approached from all spheres of life as it affects and impacts people in both the spiritual, physical, economic realms. 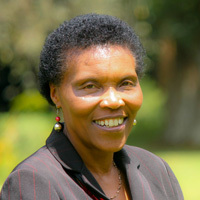 Esther Mombo is lecturer in church history in Africa and contextual theologies particularly African Women’s Theologies at St. Paul’s University (Limuru, Kenya). She is also the Director of international partnerships and alumni relations in the same university.